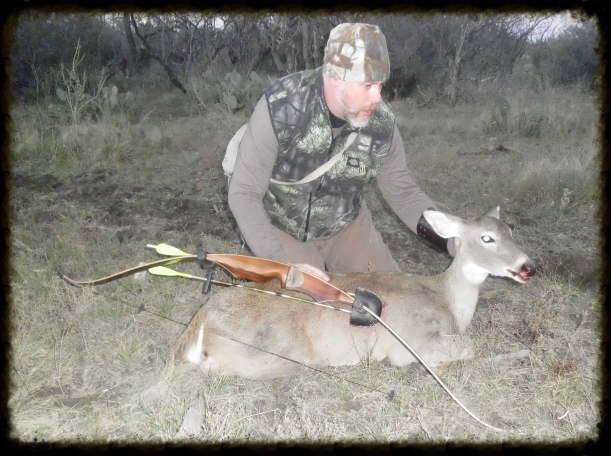 Jeff Schulz took this doe on a lease outside San Angelo. Taken with a 55 # Wing Gull recurve, 2114 aluminum arrow and a Grizzly broadhead. Doe was taken out of ground blind.